The lingonberry or Vaccinium vitis-idaea is a delicious semi sour little fruit that belongs to the same family as the blueberry and cranberry. The perennial plant from which the berries grow is native to the arctic and subarctic regions. Whether you eat them raw or cooked, they are absolutely delicious. Nowadays, considered to be a superior berry to the cranberry, they are a great option in juices, jams and shakes. The fruit is often used in Scandinavia to make jams and is popular at breakfast time spread onto toast, pancakes or crepes. Jams and sauces made with lingonberries are also a popular ingredient to spice up your meat dishes. If you ever find yourself in Sweden, why not try meatballs served up in a delicious cranberry sauce. The Lingonberry is widely distributed across many areas of the Northern hemisphere including Scandinavia, Northern US, Greenland and Canada. Like their better-known berry cousins, lingonberries do not just tastes great but they also pack a healthy punch. A 100 gram serving of lingonberries will provide you with 53 calories, have a fat content of 1.2 grams and 11.5 grams of carbohydrates. They contain a small amount of dietary fiber as well as vitamin C and small amounts of the B family of vitamins. They also contain varying amounts of essential vitamins including calcium, magnesium, phosphorus, potassium, zinc, copper and iron. They have been declared in some places as a new ‘super food’ and are becoming increasingly popular in a number of fat busting diets. But there is more to the lingonberry than its cosmetic use, far more in fact. Read on if you would like to know more about why you should be adding this little known berry to your daily diet. Before looking at any specific health benefits, it is important to note that the lingonberry like its better-known cousins the cranberry and the blueberry is jam packed with powerful antioxidants. A chemical compound known as a flavonoid is a type of polyphenol which gives berries their brilliant rich colors. The health benefits of flavonoids are well known and researchers have found that lingonberries contain more flavonoids than any other berry. It is vital that we get as many antioxidants into our diets as possible; they help protect the body from cellular damage which occurs as a result of our exposure to destructive free radicals. Antioxidants also protect us from disease as well as some of the unwanted but inevitable signs of aging….got wrinkles?….try berries. As well as fortifying the body with antioxidants, lingonberries also help to restore depleted antioxidants like glutathione which has been referred to as the ‘master antioxidant’ because of its role in fighting off a wide variety of illness. Lingonberries have been used historically and traditionally to ease the pain of arthritis and to reduce inflammation but is there any truth to the tradition? At the root of many major diseases is inflammation; indeed experts agree that inflammation is the underlying cause of diseases such as cancer, Alzheimer’s, coronary disease, arthritis and many other degenerative sicknesses. The antioxidant properties which naturally occur in the lingonberry also work to reduce inflammation throughout the body. Cranberries; the cousins of the lingonberry have a well-earned reputation for their ability to protect against recurring urinary tract infection. This protection has been attributed to one of the flavonoid compounds found in cranberries called proanthocyanidines. Drinking cranberry juice or eating cranberries can inhibit the bacteria which causes urinary tract infections. Lingonberries are one of the few other natural sources of proanthocyanidines and it is believed they would have the same effect on infections of the urinary tract as their more illustrious cousin. Research published in 2001 demonstrated that a juice made from a combination of lingonberries and cranberries was an effective remedy for urinary tract infection. The randomized trial involved 150 female patients suffering from recurrent UTI and compared the effects of the juice drink with a lactobacillus drink over the course of a year. 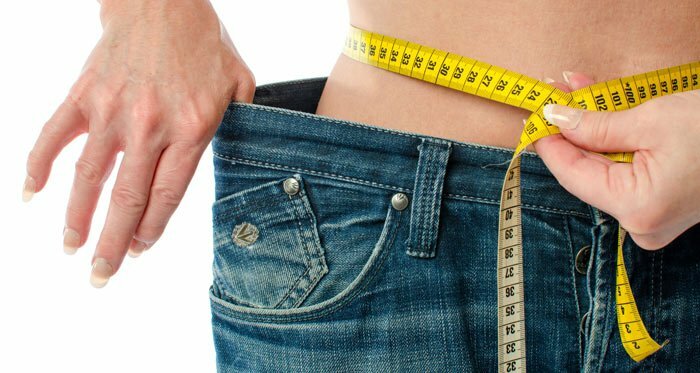 It is just after Christmas and like many people, my resistance levels have been low..I dare not get on the scales but my pants tell me that I have managed to gain a few pounds. I know that it will take a bit of work to lose them again but there might be some additional help in the form of these wonderful berries. According to very recent research published in the Journal of Nutrition and Metabolism, lingonberries are significantly better than any other type of berries when it comes to countering the adverse effects of high fat diets. Researchers gave mice either a low or high fat diet and also fed them with several types of berry. Following 3 months of experimentation, the mice given the high fat combined with lingonberry diet had a weight gain equivalent to those fed a low fat diet. Researchers believe this impressive fat fighting mechanism owes much to the very high polyphenol levels found in the fruit. I have suffered my fair share of tooth and gum disease over the past decade or so and there really is nothing more miserable. Periodontal diseases usually occur as a result of chronic infection or inflammation in the gums; these infections weaken the teeth and cause intense discomfort and pain. Apart from that, these oral infections can also lead to a variety of more dangerous diseases, so making sure that your mouth is clean and healthy is extremely important. Most oral diseases are cause by a bacterial overgrowth which can be prevented with a diet which is low sugar but high in anti-inflammatory and anti-bacterial properties. We have already talked about the anti-inflammatory nature of the lingonberry but besides that, lingonberries may help our oral health in other ways. A study which was published in 2001 discovered that a tannin present in lingonberries could effect a powerful antimicrobial action against two of the bacteria responsible for gum and mouth disease. 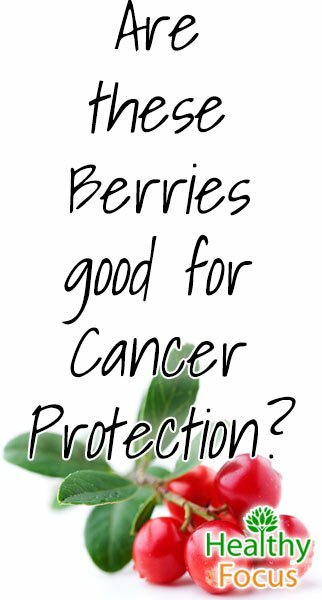 Many berries are known for their anti-proliferative effects and they may be useful in warding off cancer. Because they contain procyanidins, it is possible that lingonberries can protect our bodies against certain cancer types including leukemia, colonic and cervical cancer. While the antiproliferative effects of strawberries, cloudberries and several other berry types are a result of polyphenols, it is the procyanidins which give lingonberries their cancer protective potential. It is not only the fruit itself that can provide health benefits. In fact the leaves of the lingonberry contain high amounts of arbutin similar to uva-ursi which is known to remedy hyperpigmentation and age spots. Until lingonberries and their extracts start to populate the health food shelves, you will probably have to stick with more available products like uva-ursi and other products containing arbutin. Depending on where you live, lingonberries may be easy or hard to come by. If there are no suppliers near you, it is possible to order frozen lingonberries online. In Sweden where lingonberries have been popular for decades, lingonberry jam is a staple delight which can be made in the same way that you would make any jams. Lingonberries are also a wonderful topping to your breakfast cereals or oatmeal as an alternative to the more traditional blueberries. And if you can get hold of them, why not try adding them to your juice recipe or simply juicing them alone. They have a slightly tart taste and you may need to sweeten them with honey before you are ready to drink them.